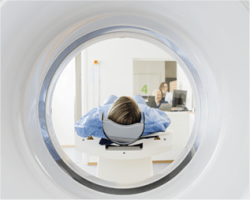 The Radiation Safety Institute of Canada uses world-class, patented technology in our personal alpha dosimetry (PAD) service. There is simply no better system available in Canada for monitoring the radiation exposure of individual workers from radon and thoron progeny and from long-lived radioactive dust (LLRD). We’re pleased to announce that our Personal Alpha Dosimetry (PAD) license with the Canadian Nuclear Safety Commission (CNSC) has been renewed in June of 2012 for a 10 year period. The Radiation Safety Institute of Canada remains the only licensed dosimetry service in Canada for the measurement of radon progeny and long-lived radioactive dust (LLRD). Originally developed in 1983, the Radiation Safety Institute of Canada’s Personal Alpha Dosimeter has become an indispensable safety tool for the uranium mining industry and companies involved in the clean-up of radioactive waste sites. In fact, our PAD service is the only licensed radiation dosimetry service in North America capable of measuring the actual exposure of individual workers to alpha radiation from radon and thoron progeny and LLRD. The Radiation Safety Institute of Canada’s personal-alpha-dosimetry (PAD) system consists of a dosimeter head and an air sampling unit. The PAD is worn either on a worker’s belt or in the worker’s breathing zone. At the end of each month, the dosimeter head is removed and replaced by a fresh head. The used head is sent to our National Laboratories in Saskatoon, Saskatchewan for processing. The PAD Service includes laboratory analysis, technical support, on-site equipment, quality assurance, quality control and timely reporting of results, including early alerts. Results are sent to clients and also sent to Health Canada’s National Dose Registry (NDR), as required. For more detailed technical specifications please contact Brian Bjorndal: bbjorndal@radiationsafety.ca at the National Laboratories – Saskatoon.